Feline, the latest release from San Diego indie rock quartet Secret Lynx is now available on all digital platforms. With the release of Feline, Secret Lynx emerge from the down tempo melancholy that permeated their 2015 self-titled debut and deliver a cavalier rebuttal to their first EP. While their new record represents an energetic shift, Feline retains the lyrical angst and emotion that has become synonymous with their sound. Combining influences that range from Tom Petty to The Shins, Secret Lynx intentionally set out to create their version of a rock & roll record. The opening track Broken Rocks begins the EP with a driving bass line that eschews a punk rock simplicity, while subsequent tracks, Feline and On the Radar play to an earnest populism that speaks to the pains of growing up and out of relationships. The final tracks Blindside and Take Me Home combine anthemic guitar and vocals reminiscent of 70's stoner rock combined with early 80's post punk. Made up of vocalist/multi-instrumentalist Ronnie Dudek, guitarist/keyboardist Tyler Hardwick, bassist Jonny Doan, and drummer Kai Taylor, indie-rock quartet Secret Lynx initially began as a one-off solo project of Ronnie Dudek. Following the completion of their self-titled debut, Secret Lynx’s music quickly found itself in a nationwide ad-campaign, frequent radio play, and a steady demand for live performances. Dudek had found previous success with his project Years Around the Sun, performing alongside musical heavyweights such as Green Day, Angels and Airwaves, and Switchfoot. His song, “Miles Away”, was chosen for the “Where you’d rather be” ad campaign for Corona beer, which brought worldwide notoriety and acclaim. After ten years of creating music with Years Around the Sun, Dudek decided to take a hiatus from music and focus on his interest in video production and digital art. After several years, the musical itch returned and Dudek began composing what would become the songs for the first Secret Lynx EP. 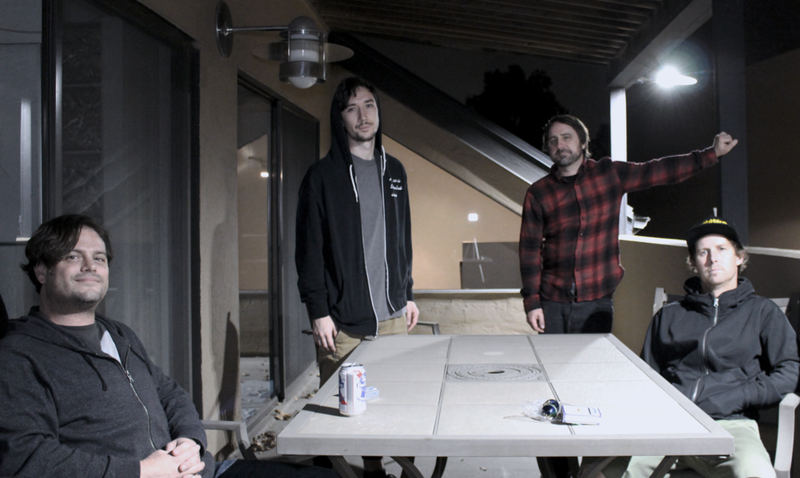 Although hesitant to push the project further than one release, let alone perform live, the encouragement of long time friend and producer Ben Moore (Hot Snakes, Switchfoot, Pinback) and former band-mate Matt Lynott (White Buffalo, Truckee Brothers, Years Around the Sun), convinced Dudek to pursue Secret Lynx beyond one album. Dudek eventually recruited Tyler Hardwick and Jonny Doan to join with Matt Lynott on drums. After Lynott left in 2017, Kai Taylor assumed the role of percussion.